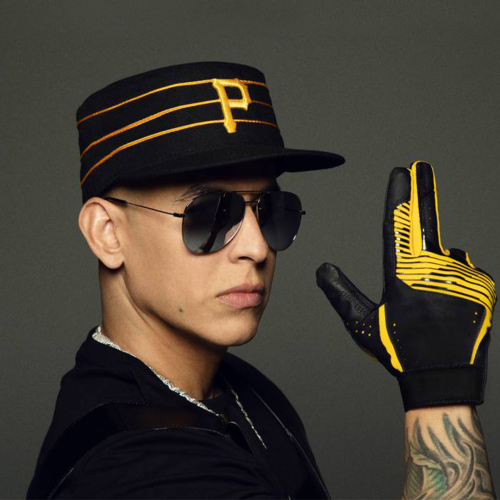 Ramón "Raymond" Luis Ayala Rodríguez (born February 3, 1977), known artistically as Daddy Yankee, is a Latin Grammy Award winning Puerto Rican reggaeton recording artist. Ayala was born in Río Piedras, the largest district of San Juan, Puerto Rico, where he became interested in music at a young age. In his youth he was interested in baseball, and aspired to become a Major League Baseball player. He was unable to continue this sport when he got shot in the leg by being mistaken for his friend by a unknown man, leaving him unable to walk correctly. He then became involved in the underground rap movement that was in its early stages in Puerto Rico, later to be called Reggaeton. After receiving lessons from several artists within the genre, he developed an independent career, first recording in a production titled Playero 37. After this he began to produce independent albums. His first solo album was No Mercy in 1995. He subsequently formed a duo with Nicky Jam, and then continued his solo career with the releases of El Cartel and El Cartel II. This led him be one of many pioneers of the reggaeton genre. In 2002 El Cangri.com became Ayala's first album with international success, receiving coverage in the markets of New York and Miami. Barrio Fino was released in 2004, and the album received numerous awards, including a Premio Lo Nuestro and a Latin Billboard, as well as receiving nominations for the Latin Grammy and MTV Video Music Awards. Barrio Fino performed well in the sales charts of the United States, Latin America, Europe, and Japan. On June 5, 2007, El Cartel Records released El Cartel: The Big Boss, which was ranked as the top-selling album in Latin music genres in 2007. He promoted the album with an international tour which began in the United States and continued through Latin America, breaking attendance records in Ecuador and Bolivia. His performances have appeared on more than 70 albums, including compilations such as Mas Flow 2 and Blin Blin Vol. 1. Outside of his work as a musician, Ayala has also worked as an actor and producer. Throughout his career, he has been generally reticent to discuss his personal life, but has publicly expressed the importance of his wife and children to him.